Most of the time, we live our lives completely oblivious to the fact that they are temporary. We are living on a timer; our days, no matter how innumerable, are numbered. Unpleasant as it is to think about, perhaps there is something to be gained from being confronted with our mortality. We can all do better – live better. 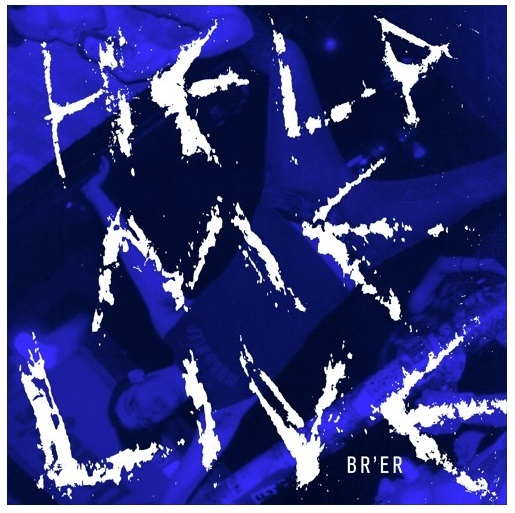 Br’er come face to face with mortality on “Help Me Live,” a dark and honest confessional inspired by a cancer misdiagnosis. Atwood Magazine is proud to be premiering “Help Me Live,” the spine-tingling lead single off Br’er’s forthcoming fourth album Brunch is for Assholes (2017 via BLIGHT. Records). Hailing from DC by way of Philadelphia, Br’er consists of Ben Schurr (vocals), Erik Sleight (synth), Johnny Fantastic (vocals, synth), and Ben Usie (drums). The band describe their new album as “a timely discourse on the social history of the last eight years, given the uncomfortable context of present day politics,” but Brunch is for Assholes‘ first offering feels far more personal than political. Schurr’s calm singing voice seems to almost underplay the gravity of his situation, but it is this resolution – a strong, settled poise and frame of mind – that allows Br’er to truly captivate the audience. The band builds a dark, dreamy world out of throbbing bass tones and immersive synths, upon which Schurr sings a humbling, humanizing reminder – and a commitment to life. His honest verses admit flaws and past indiscretions, acknowledging, albeit all too late, that he could have done better. “Help me live,” Schurr repeatedly sings in the song’s refrain. It’s as much a protest as it is a prayer. We feel Br’er’s humanity all too closely on “Help Me Live,” a reflective and harrowing call to action. Brunch is for Assholes is out later this year. Stay tuned for more from Washington, DC’s DIY powerhouse Br’er: “Help Me Live” is just the start of something very special, humble and unique.